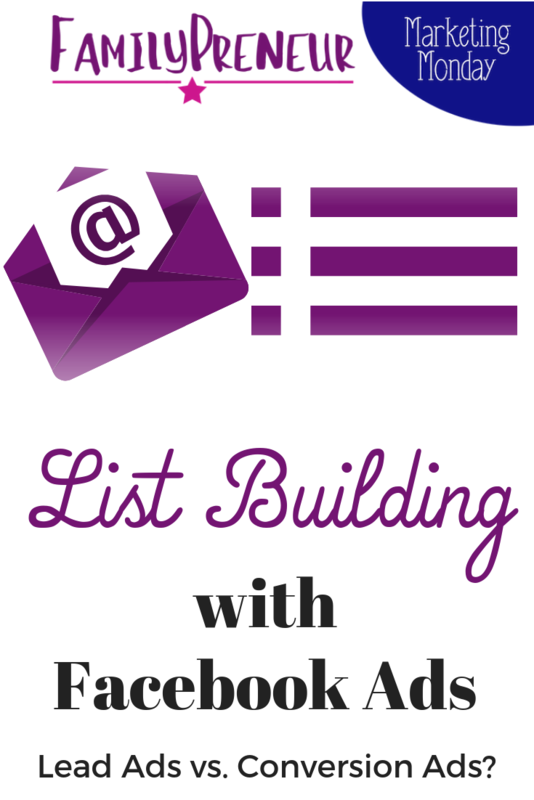 [Episode 90] A couple episodes ago we established why list-building is so important – and in this episode we will dive deeper into the HOW of building an email list using Facebook Ads. We'll explore running conversion ads to an optimized landing page, and how that compares to leveraging Facebook's Lead Ads. It's always important to remember what assets you own, and which are built on a borrowed platform. Having a list is a great way to ensure that you have an owned asset that will allow you to reach out to your audience even if Facebook is down. Backup your list periodically – the same way that you don't own Facebook, you don't own your CRM system – so if your list is ONLY saved on a third-party platform, then you're not as protected as you'd like to think. So set a schedule – maybe it's monthly or quarterly (depending on how quickly your list is growing) so that you always have an up to date list saved somewhere like your computer or a hard drive. As long as it's in more than one place. Create an opt in/offer – if you need more info, check out my Quarterly Campaign Planner! Develop your strategy – Ideally you'll be able to show these ads to someone who is familiar with you because they'll be more likely to give you their email address in exchange for your optin! Ensure that you're excluding the people who are already on your list. You can do this by building a custom audience from your email list. You'll also exclude people who opt in through this ad so that you're not showing the Ad to people who are already on your list OR recently joined! I love using Kartra. Kartra is an all-in-one solution that allows you to manage your email list, host your courses, build landing pages and more. If you want to test out Kartra for 14-days for $1 you can sign up for a trial at MegBrunson.com/Kartra – this IS an affiliate link, just FYI, so you save and I benefit if you sign up after clicking through it! Build your landing page to encourage people to opt in. PROS: you can pixel this page and customize the page to be on-brand and encourage people to opt-in for your think. CONS: This page NEEDS to be mobile optimized because so many people use Facebook on mobile – and this can be tricky and time consuming to get right. The solution is considering Facebook Lead Ads! Instead of the ad navigating off Facebook, it generates a popup window right within Facebook. You can customize a couple lines of text, as well as the fields that you're requesting from your audience. I always recommend requesting one thing only – the email address (or the least amount of info you NEED at this point). The more you request, the more people will close out of the lead form without submitting. Mobile optimized automatically – huge time saver. They automatically pull in the info from the Facebook user – this removes a barrier for your audience because their email will be pre-filled when the form pops. The user can change it, or submit as is. The thank you page is customizable and mobile optimized, and it allows you to link to a webpage. I recommend linking the thank you page button to a page where they can get the opt-in AND you should set up a welcome email in your CRM that sends an email immediately providing them access to the opt-in. I like to make sure they get the opt-in in 2 different ways: from the lead ad, and from your email – this way they have the best chance of actually seeing/downloading the optin. How does the email get from Facebook Lead Form to your Email Provider? Facebook does not directly integrate with third-party email providers, but you can use a program called Zapier to send the leads from Facebook to your email provider. Zapier integrates with TONS of CRM systems and email providers, and I am willing to bet it integrates with yours. They do have a free version, but you will need to pay for the $20/month version if you are using Facebook Lead Ads as your “trigger” as we're discussing in this case. So, Zapier will be configured to “zap” the leads from Facebook into your email provider, then within your email provider you will set up the “welcome email” that will send as soon as the new leads are added. Zapier can also add leads to a spreadsheet in Google Drive, or send them directly through an email – but I highly recommend at the very least getting a FREE email provider like MailChimp to get you started with this strategy – or to hop right into something powerful and sustainable like Kartra. I love Lead Ads – at the very least I recommend you test them against Conversion Ads. If you have any questions at all – ask them in the FamilyPreneur Community! !